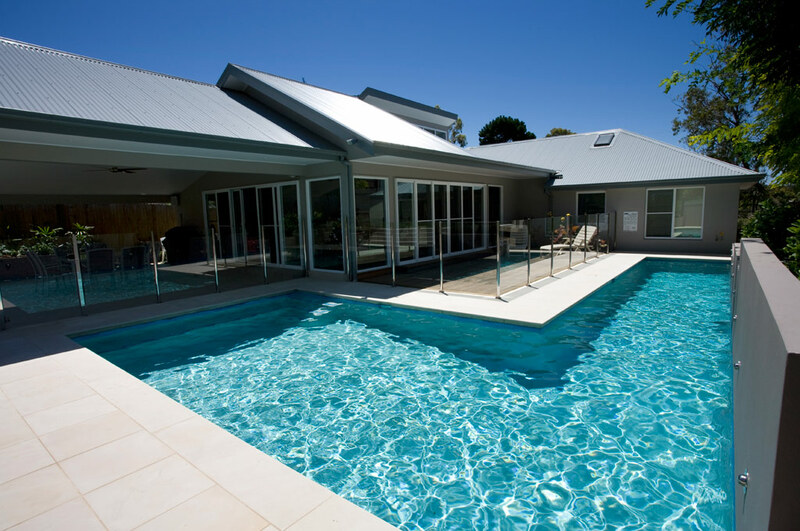 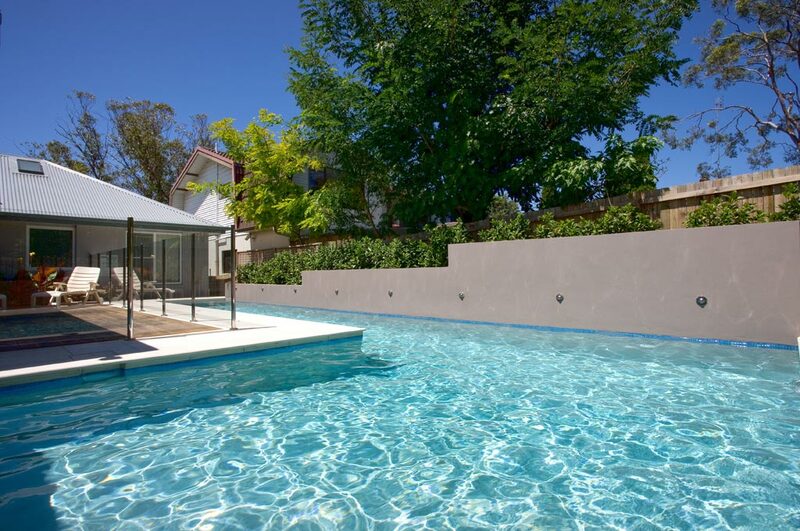 This beautiful wrap around pool has been designed not only as a lap pool but the addition of a wider expanse at the pool entrance provides flexibility for play and lounging. 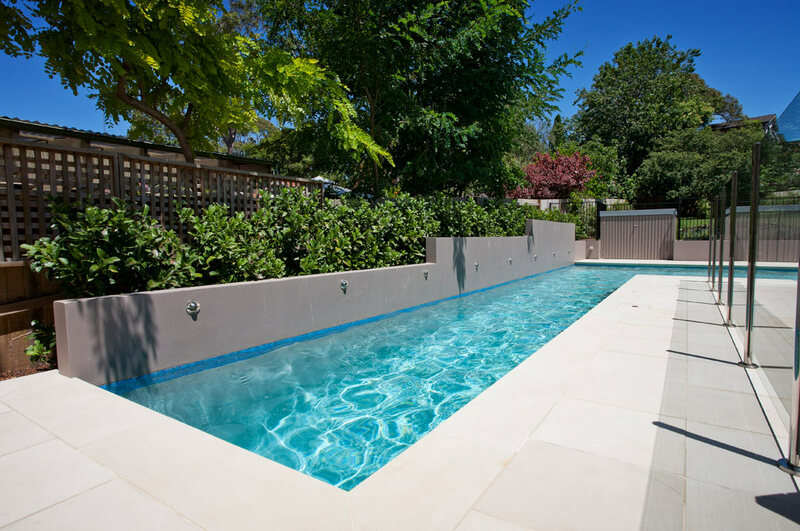 The extra-wide sandstone walkways coupled with the up-stand-wall running along the boundary line create the impression that this pool wraps around this new home. 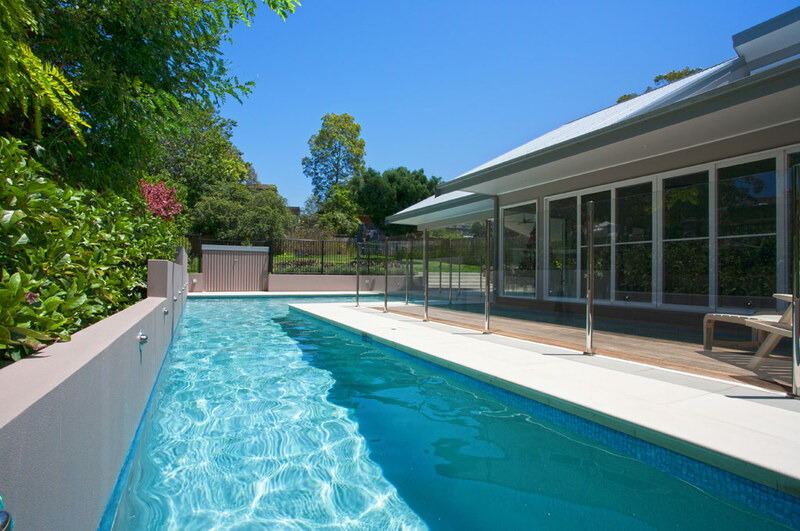 Lighting has been used to good effect on this project both in and out of this contemporary house and pool.